We are exhibiting at the Smart Factory Expo in Liverpool tomorrow and Thursday, 15th and 16th November. Over 4,000 people are expected to attend the show, run by The Manufacturer alongside other events including the Leaders Conference and the annual Manufacturer MX Awards. ... to find out more about the IfM, discuss any aspects of our research, or find out more about our executive education and consultancy services. 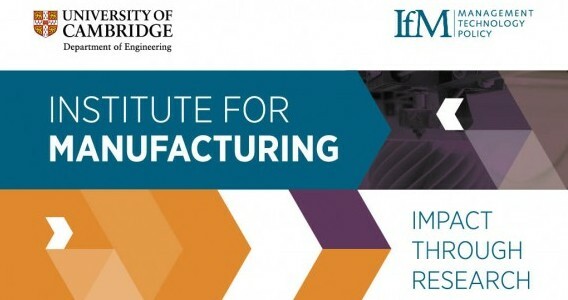 Dr Jag Srai, Head of the IfM's Centre for International Manufacturing, will be speaking at 15.45 on Day 1 of the Leaders Conference in the 'Supply chain and operations stream'. His presentation, ‘Making the right digital choices for your supply chain’ will cover some of the opportunities and challenges and look at trends across different industries. He will also give an overview of the ‘IfM Digital Scenarios Framework’ which helps organisations to structure decision making when considering the vast range of digital opportunities available to them. The Cambridge Service Alliance is running four workshops exploring the importance of your business ecosystem and why it's vital for maintaining competitive advantage, value creation and service delivery. These workshops are now fully booked but do come and see us on the stand to find out more about how this work - and other IfM approaches - can help organisations create value.